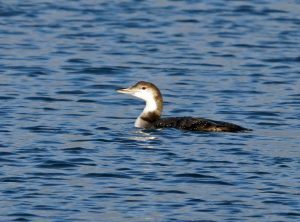 Kintyre: At the Sound of Gigha this morning appears fewer birds than usual however: 8 Whooper Swans N, 33 Great Northern Divers, 18 Slavonian Grebes, 108 Eiders, 28 Common Scoters, 41 Red-breasted Mergansers, 1 Long-tailed Duck, 8 Black Guillemots. Also 367 White-fronted Geese, 19 Lapwings, 5 Mistle Thrush and 4 Fieldfares N of Tayinloan and a Greenshank plus 6 Shelducks at Kennacraig (Jim Dickson/Neil Hammatt). Cowal: 1 Siskin in garden in Dunoon (first there since Aug) George Newall and Red-throated Diver midday yesterday, and 4 Turnstones, between Innellan and Dunoon (Cherry Cook). 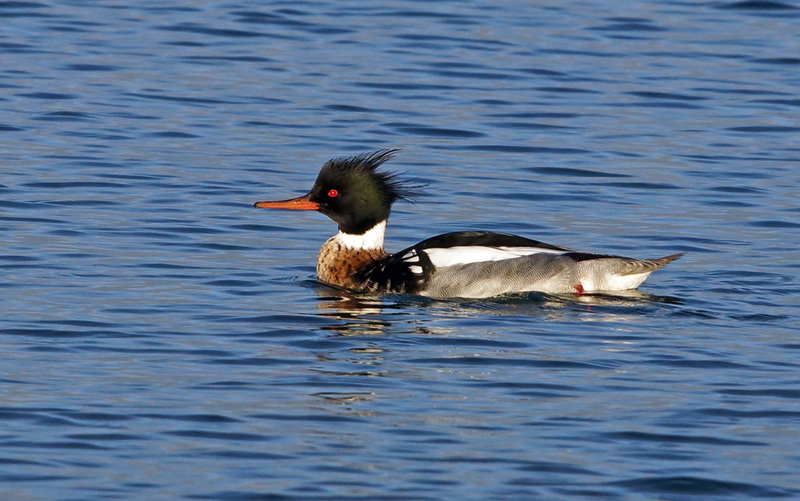 Red-breasted Merganser – Sound of Gigha 5 Jan (Jim Dickson). 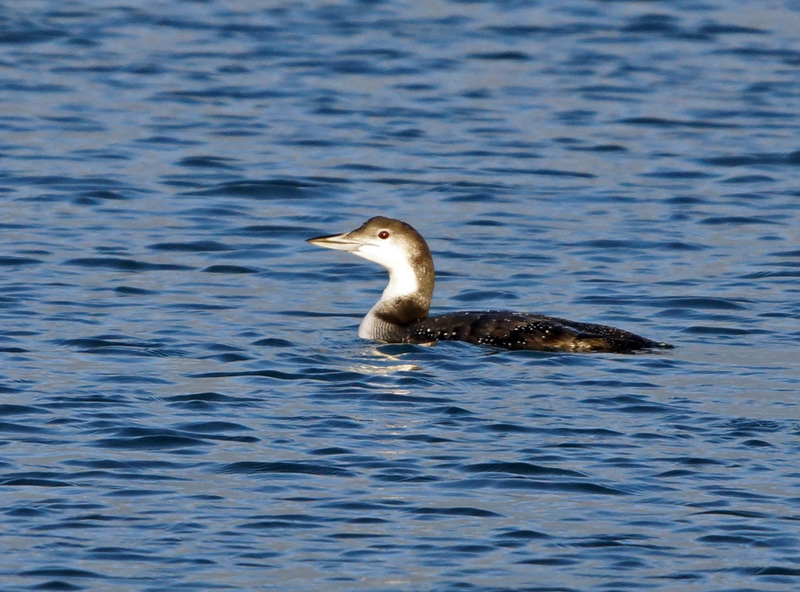 Great Northern Diver – Sound of Gigha 5 Jan (Jim Dickson).